Posted on September 21, 2015 by Al B. On Saturday U.S. Representatives Denny Heck (WA-10) and Derek Kilmer (WA-6), announced the introduction of a bill to help bring more federal resources to the recovery efforts of Puget Sound. The bill, called the Puget Sound SOS aims at amending the Clean Water Act to allow Puget Sound to be ranked at parity to the Great Lakes and Chesapeake Bay. The bill would create a Puget Sound Recovery Program Office in the EPA. The goal would be to better focus resources to these efforts. Currently, the EPA and NOAA help fund the state through grants that are prioritized by the many efforts of the Puget Sound Partnership throughout the Sound. These prioritized lists, created by volunteers from the various agencies and non profits involved in recovery efforts, are then funded by grants from the EPA and NOAA. The funding has been far under what is necessary, and it is hoped that this will help find more funds through the agency. The three goals that are of the highest priority, and under which most if not all the other sub goals are grouped into, are: Habitat recovery, mitigating stormwater runoff, and helping shellfish recovery. At the core of these are clean water entering the Sound, and restoration of habitat wherever possible. While Heck and Kilmer are still looking for co-sponsors, it is still uncertain what changes to the Clean Water Act the Republican controlled Congress is going to seek. There is also the issue of a possible shut down of the government soon, due to Planned Parenthood funding issues. The good news is that Kilmer and Heck have been fighting for Puget Sound recovery efforts for some time, and have been good at helping keep the issue on a front burner back in Washington DC. Details of the bill are not yet available, as the legislation has not been introduced yet. 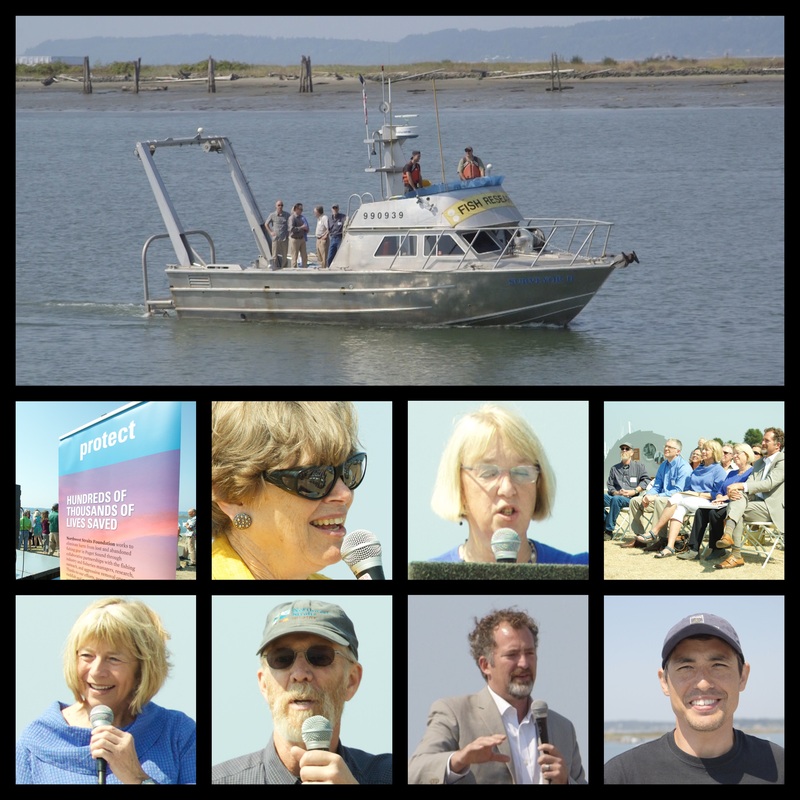 This is the work of the organization that supports our Marine Resources Committees, both in Clallam and Jefferson County. It’s a great milestone. Real success at ridding one of the big scourges of the Salish Sea. Posted on July 7, 2015 by Al B. This article swings around from India to Puget Sound, it’s a bit all over the map, literally. But take it as you read it. I think that the point is that continued algal blooms are increasing the incident of red tide, and that if this continues it may be harder and harder to grow shellfish for the size of the commercial markets.